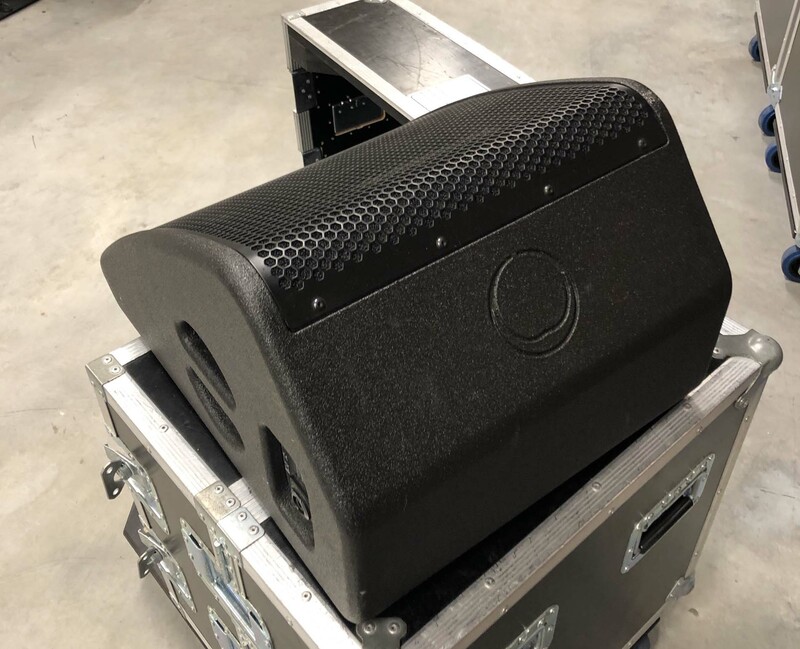 8x Turbosound TMW-112 switchable passive/bi-amped stage monitors. 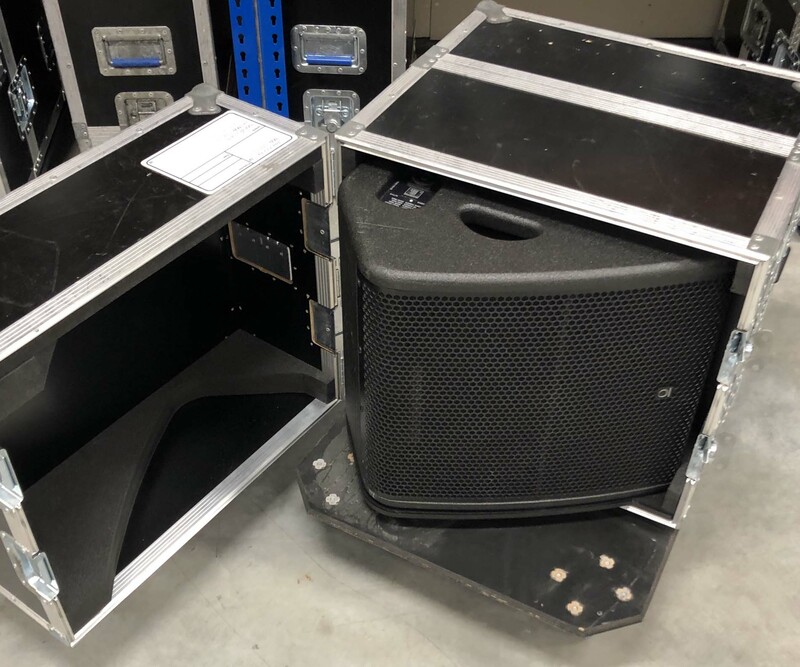 Sold in pair including flight case, price is for single unit. The Turbosound TMW-112 is a compact 1,400 Watt switchable passive/bi-amped floor monitor consisting of a co-axial carbon fiber loaded 12″ neodymium low frequency and titanium dome 1″ neodymium high frequency combination driver in a reflex loaded enclosure designed for concert touring. The co-axial drive unit is matched with an exponential horn flare for improved acoustic loading and controlled coverage. Both HF and LF coils utilize the same neodymium magnet assembly, which gives better efficiency and reduced weight. This allows the creation of a minimal footprint monitor wedge which, combined with a35deg. projection angle and 60deg. horizontal by 40deg. 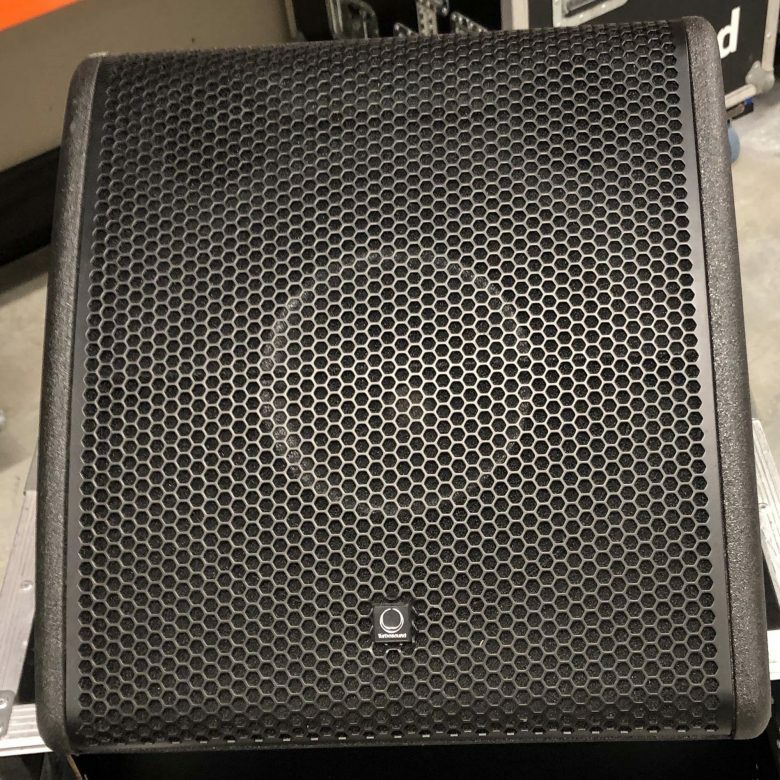 vertical dispersion pattern, is ideal as a vocal monitor on smaller stages where space is limited, while its low profile maximizes audience sightlines. The 15 mm (5/8″”) birch plywood cabinet is equipped with two flush recessed handles and Neutrik speakON NL4 connectors are provided at each side for tidy inter-connects. The cabinet is finished in semi matt black paint finish and includes a curved profile perforated steel grille backed with reticulated foam and supported by a steel reinforcing strip positioned across the front of the drive unit. A recessed pole mount socket is provided for use on speaker poles or tripods.